I love paper piecing and have been doing a lot lately. 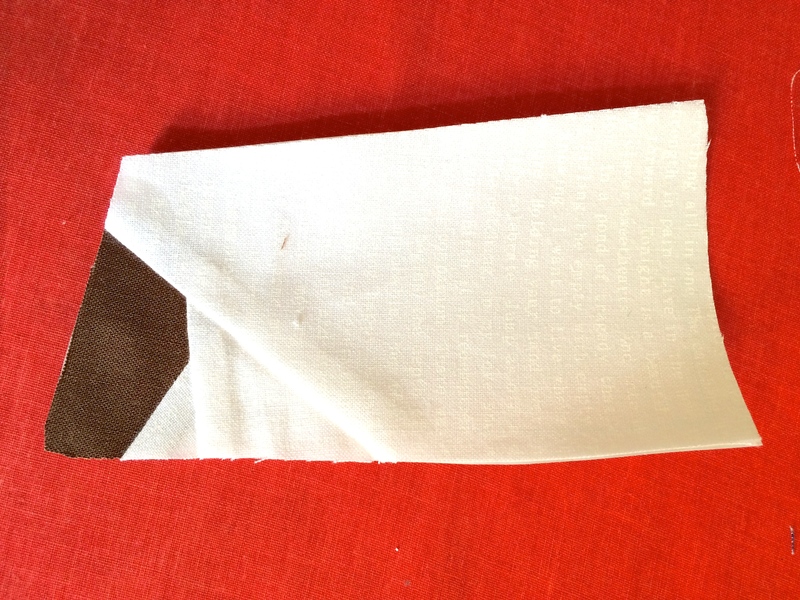 Previously, I blogged about some useful tips and lessons learned when paper-piecing. I have another tip, for those awkward angles. You know those angles that the fabric starts off not in line with the shape you want to cover, at all. The one you can just cut a really big piece of fabric to make sure it folds over and covers the whole piece. What about trying these few steps to make it easier. 1. 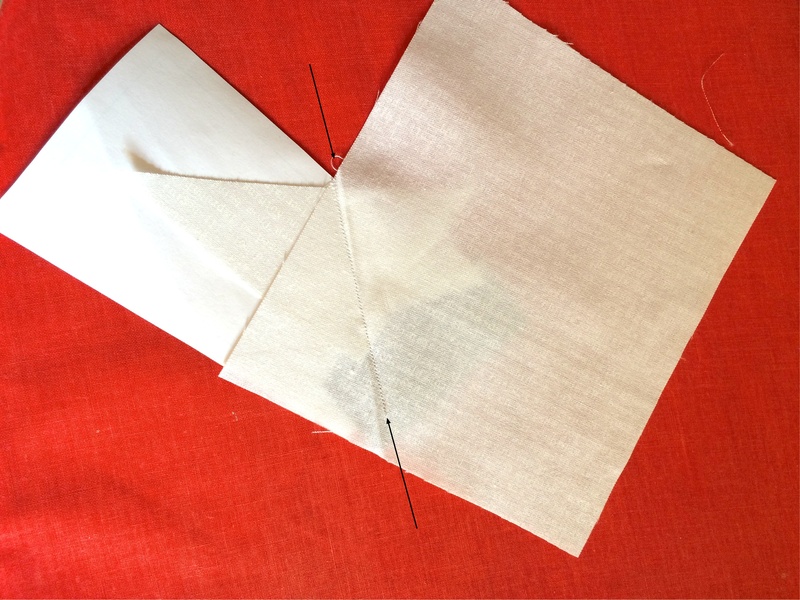 Place fabric covering the shape you are piecing. 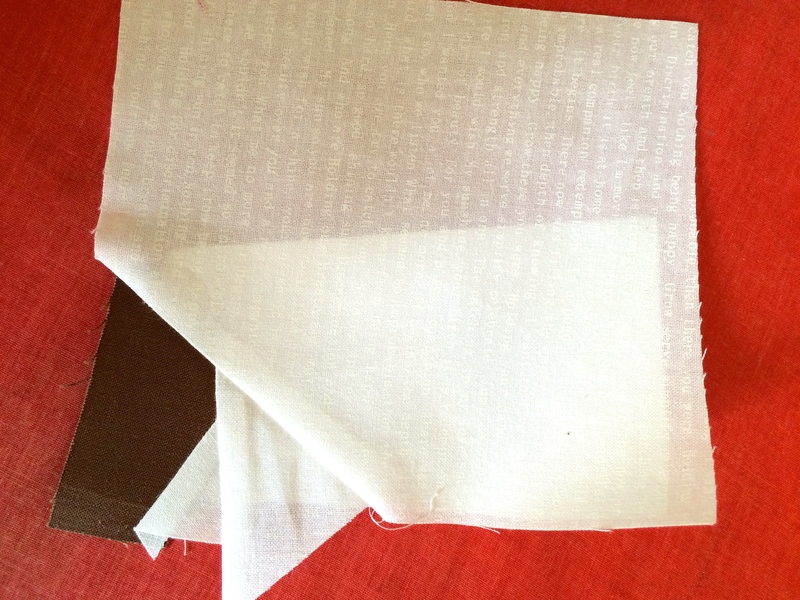 In the photo I have the fabric, right side facing down and the paper template facing up. 2. 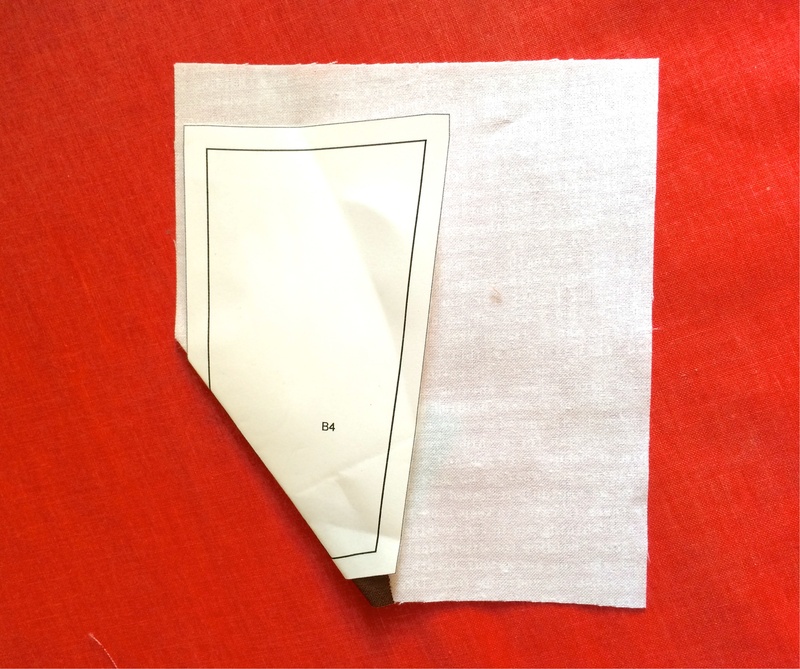 Fold the template and fabric carefully, along the line of the paper template that you will be stitching on. Press with an iron. 3. You will now have a crease in your fabric. 4. 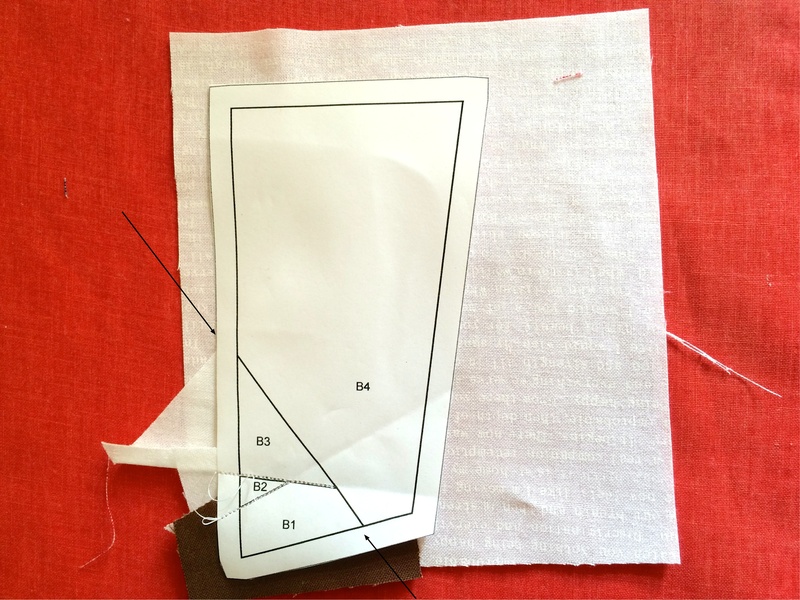 Use that crease to line up your fabric with the template, readying it to stitch along the line. Note the fabric in the picture is now right side facing up, and is positioned in that awkward position. Hold in place (you can use pins or glue). Stitch along the template line. 5. 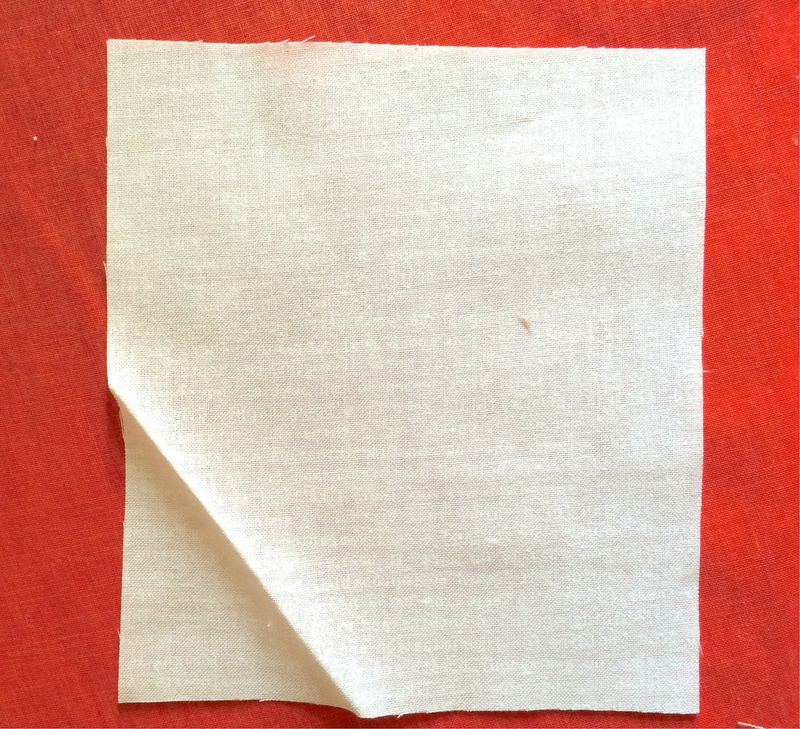 Trim excess (allowing for a 1/4″), fold over the fabric and press along the stitched line. 6. This is how my block finished up. Let me know if you have any questions, or any trouble when trying it out. 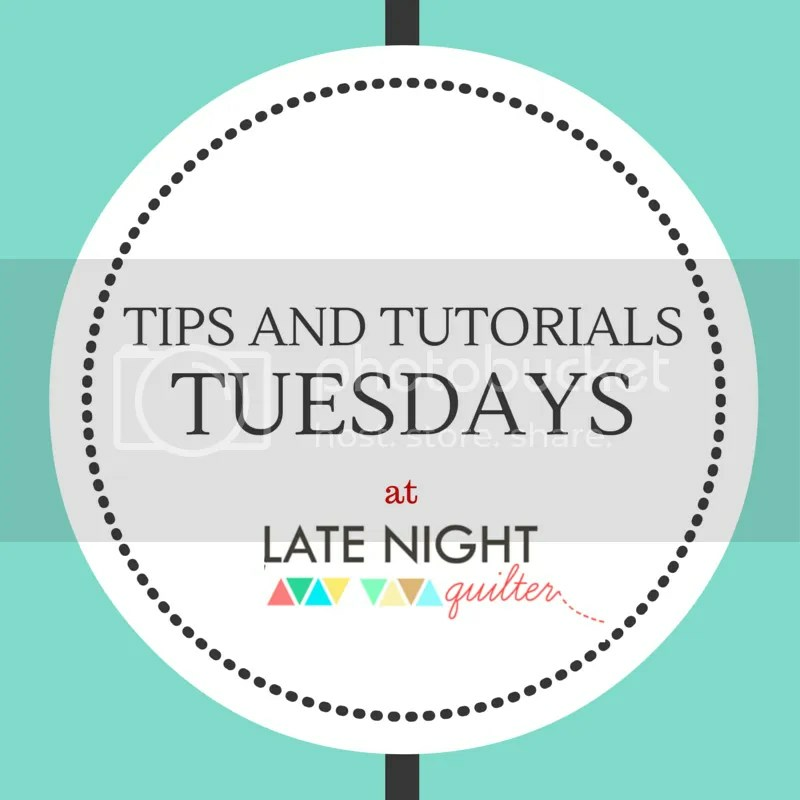 Linking up with Stephenie @Late Night Quilter for Tips and Tutorials Tuesdays. This entry was posted in Uncategorized and tagged paper piecing, tip, tutorial on July 28, 2015 by mlwilkie. How many times have I misjudged? Great tip and one that I will certainly remember and try! Thank you! Oh this is a clever way to doing it! I’ve figured out another way, I should put up a tutorial. Paper piecing took me so long to wrap my head around, and the weird angles took a long time to understand.